Establishment of a Clean Water Trust Fund based on voluntary product labeling for investments in water and wastewater infrastructure. Should the Senate pass this package, it will represent the most significant bipartisan legislative progress to date on these proposals. It will also go a long way to achieving many key goals in NACWA's current Strategic Plan. Between now and Tuesday, Senators will have an opportunity to come forward with amendments that could potentially disrupt a Tuesday vote, but it appears there is consensus among Democrats and Republicans to move forward and no controversial amendments are expected. 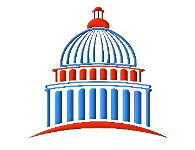 NACWA recently distributed an Advocacy Alert asking Association members to contact Senators to urge support for WRDA. Please continue to weigh in with your Senators to let them know this legislation is critical to clean water agencies and the communities they serve. Please contact Senior Director, Legislative Affairs, Pat Sinicropi at with any questions. The Water Research Foundation (WRF) took the lead in organizing a meeting with the Secretary of the Department of Energy (DOE), Ernest Moniz, and several of his top staff to discuss energy-water nexus issues and ensure that they remain a priority as the Administration transitions post-election. The other organizations participating included NACWA, the Water Environment & Reuse Foundation (WE&RF), the Water Environment Federation (WEF), the Association of Metropolitan Water Agencies (AMWA), the American Water Works Association (AWWA), and the National Association of Water Companies (NAWC). 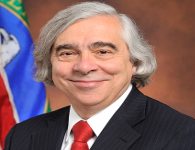 Moniz expressed an interest in greater institutional integration between the electric industry and water/wastewater utilities, where the latter are large energy users, but increasingly finding ways to reduce and produce energy, as well. Ideas such as a Water Information Agency, similar to the independent Energy Information Administration that gathers data on key energy production and trends would be useful, were also raised. NACWA briefly discussed the relevance of the Utility of the Future effort as Moniz mentioned similar efforts on a separate track in the energy sector. Moniz encouraged the organizations to develop a white paper outlining energy-water nexus priorities for the water sector to guide the transition team for the next administration. The groups agreed to undertake this effort. A special thanks is owed to WRF for taking the lead in organizing the meeting, crafting talking points, a joint press release and agreeing to gather the groups' thoughts and priorities into a white paper to be delivered to DOE. NACWA will ensure its members' advocacy priorities are included in the white paper and that water-energy nexus issues remain a growing priority for DOE. NACWA met with Andrew Sawyers, Director of the Office of Wastewater Management (OWM) in EPA’s Office of Water, and other senior OWM staff recently to discuss the Association’s ongoing efforts on the smart utility front. The Association is working to ensure that federal policies and regulations enable utilities to take advantage of the latest monitoring and analysis technology, but within a regulatory environment that provides sufficient flexibility to explore such innovative solutions. 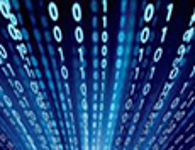 Earlier this year NACWA formed a Smart Utility Task Force, chaired by Biju George, Chief Operating Officer for DC Water, to explore the opportunities and challenges associated with collecting and analyzing new data and information on all aspects of wastewater utility operations and management. Sawyers participated in discussions during NACWA’s 2016 Winter Conference on smart utility issues, and the recent meeting was intended to brief him on the latest developments and work planned by the Task Force. The Water Sector Coordinating Council (WSCC) held its quarterly meeting on September 7 and addressed cybersecurity issues. During the meeting, the WSCC and EPA discussed the Agency’s draft coordination procedures for responding to a significant cybersecurity incident in the water sector. EPA is required to establish these procedures in Presidential Policy Directive (PPD) 41 – United States Cyber Incident Coordination. The WSCC was also briefed on recent cyber and physical threats to water systems by the WaterISAC. The U.S. Court of Appeals for the Fourth Circuit issued a request last week that EPA and the State of West Virginia file amicus briefs to assist the court in resolution of the permit shield issue in Ohio Valley Environmental Coalition v. Fola Coal. The request suggests the court is giving significant consideration to the case, and in particular to the question of how broadly the permit shield extends to permits issued under the Clean Water Act (CWA). NACWA is participating in the litigation to help protect the permit shield concept. The appeal before the Fourth Circuit arose from a decision by a lower federal district court that a National Pollutant Discharge Elimination System (NPDES) permit provision that incorporated water quality standards by reference actually created an independently enforceable effluent limitation, compliance with which is a prerequisite for protection under CWA §402(k). Section 402(k) establishes that compliance with a NPDES permit is compliance with the CWA and provides a shield from citizen suits (the permit shield). The district court’s decision, if not overturned, could have far reaching impacts on NPDES permittees, as many permits contain catch-all provisions requiring compliance with water quality standards. The decision also upends the NPDES permitting process, allowing for citizen groups to collaterally attack permits after issuance and potentially exposing permittees to civil penalties for violating permit limits imposed after the fact. NACWA filed a brief in April as part of a coalition of amici to highlight the broad national impacts of the district court’s decision. Oral arguments in the case are scheduled for October 27, 2016, and NACWA will report on any developments. The Center for Regulatory Reasonableness filed a challenge in the U.S. Court of Appeals for the District of Columbia Circuit, arguimng in part that the permit is illegal because it assumes any discharge into an impaired waterbody is a water quality violation. The National Association of Home Builders filed a challenge in the U.S. Court of Appeals for the First Circuit, claiming EPA has exceeded its authority in a number of ways, including an attempt to regulate stormwater based on flow instead of based on pollutants. The Massachusetts Coalition for Water Resources Stewardship (MCWRS,) a group representing municipal clean water interests in Massachusetts, has jointly filed a challenge with the Town of Franklin in the First Circuit. Among other issues, MCWRS argues that the permit goes beyond what Congress authorized EPA to do when regulating municipal stormwater discharges. NACWA’s Energy Workgroup will host a webinar on October 6 centered on how wastewater treatment plants manage energy demands while maximizing the utilization of green power. David Duest, Co-chair of the Workgroup, will give a presentation on the Massachusetts Water Resource Authority’s (MWRA) advanced Deer Island Treatment Plant. Currently, the Deer Island facility employs a variety of renewable energy sources in the operation of the plant, including digester gas, solar and wind energy. Register now for the third Enabling the Water Resources UOTF webinar offered by EPA, NACWA, WEF and WE&RF. The September 14 webinar will highlighting how utility managers at the Albuquerque Bernalillo County Water Utility Authority and the Narragansett Bay Commission are addressing challenges brought about by climate change. Register now for the next NACWA Legal Hot Topics Webinar on September 21 at 2:00PM ET. The webinar will provide a preview of the upcoming National Clean Water Law Seminar and Consent Decree Workshop, as well as feature a roundtable style discussion of the latest enforcement topics with a panel of expert attorneys. RSVP today for Utility Leaders Morning at WEFTEC16. Jointly sponsored by NACWA and the Water Environment Federation (WEF) for utility leaders and invited guests, the event's agenda will feature presentation on management and leadership issues, a dialogue with the U.S. Environmental Protection Agency, and a special ceremony recognizing 2016 Utility of the Future Today honorees. Join us from 7:30-10:30 am on Tuesday, September 27, 2016 in Great Hall A at the New Orleans Convention Center. Register now for the World Water-Tech North America summit, October 18 – 20, 2016 in Toronto. Hosted by WaterTAP Ontario and Rethink Events, the conference focuses on accelerating innovation in energy optimized and climate resilient infrastructure. Hear best practice case studies of energy optimization and network management from the world’s leading water companies, and learn how to build a successful commercial model for reuse and resource recovery. Registration is now open. NACWA is a partner for the event and Association members receive a $300 savings on registration. Just type in NACWA16 when registering at www.worldwatertechnorthamerica.com. Register now for NACWA's 2016 National Clean Water Law Seminar & Consent Decree Workshop, November 1- 4, 2016 in Kansas City, Missouri at the Intercontinental Kansas City. The event pairs for the first time the Association's popular annual Law Seminar with its compelling Wet Weather Workshop- providing an invaluable learning and networking experience for utility leaders and lawyers alike! Save the Date! Plan now to attend NACWA’s 2017 Winter Conference, February 4 – 7, 2017, in Tampa, Florida. Next Generation Compliance … Where Affordability & Innovation Intersect will examine the intersection of increasingly stringent regulatory requirements with efforts to innovate – and the overarching challenge of affordability. NACWA’s 2017 Winter Conference will be co-located with the American Water Works Association (AWWA)/ Water Environment Federation (WEF) Utility Management Conference – with both taking place during the same week at the Tampa Marriott Waterside Hotel. Do you have any questions regarding the operation of your clean water facility? NACWA EngageTM is the perfect forum to not only offer insight on plant operations, but also get answers to your questions from other wastewater professionals. Trending this week are discussions on technology to improve the operation of wastewater facilities, such as instruments to monitor pH data and clarifiers. If you have any experience with these topics, or have a question of your own, then log on and get engaged today!